Breathe easy. Life insurers cannot reject claims made on policies that are over three years old. 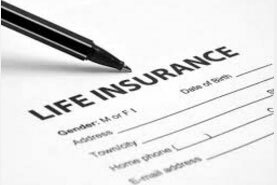 Life insurance companies must compulsorily pay all claims made three years after the date of commencement of a policy, according to a recent clarification issued by the sector regulator. No exceptions allowed. If there is fraud, mis-statement or non-disclosure by the policyholder, the insurance company may discover and act on it within the three-year deadline. After that, the policy cannot be called into question. The development is good news for consumers, but insurers aren’t a happy lot because they wouldn’t be able to reject a claim if fraud is discovered after the three-year period. The Insurance Regulatory and Development Authority of India (Irdai), on 28 October, made this clarification after insurers approached it over the change introduced in the Insurance Laws (Amendment) Act, 2015. Irdai said regardless of whether the claim has arisen or when it is intimated, once the three-year window closes, the policy must be honoured. This means that even if the policyholder dies within the first three years and the claim is made after three years of the policy being operational, the insurer has no recourse. “If the policyholder dies in the first year itself, but the claim is made after three years, we will have to settle the claims,” said K.S. Gopalakrishnan, managing director and chief executive officer, Aegon Religare Life Insurance Co. Ltd.
“One could argue that if a policyholder dies, the premiums will stop and the policy might lapse giving us time to question the policy within the three years, but the lapsation rate in India due to death or policy surrender is about 30%, which makes it very difficult for us to investigate each instance of lapse. This may actually encourage fraud,” Gopalakrishnan added. The insurers, however, have the right to inspect policies regardless of a death claim within these three years. “Within three years, if the insurers are able to establish fraud, then they can deny the death claim and also deny refunding the premiums paid so far. However, if a fraud is not proven, then the insurers can deny the claim on account of non-disclosure or mis-statements, but need to refund the entire premium to the claimant,” said C.L. Baradhwaj, chief compliance officer and chief risk officer, Bharti AXA Life Insurance Co. Ltd. The rules force insurers to exercise greater due diligence, but companies are still worried that cases of fraud may go up. “The current rule that makes it mandatory to pay claims that are reported after three years even as the death may have occurred before three years will make it difficult for us to underwrite non-medical policies on the basis of declaration of good health alone. This will make it difficult to offer low-ticket size policies or policies with simpler processes. It could also lead to an increase in systemic fraud,” she said. Baradhwaj said the legislation should have been phrased differently. “Section 45 of the Act should have instead read to mean that a claim will not be denied if the policyholder survived for at least three policy years and has paid premiums for at least three years. The intention was to protect the interests of policyholders who have outlived their ailments by surviving for a reasonable period even if there was a non-disclosure. This also mitigates fraud,” he said. Irdai said that even in cases when a policy is revived, the insurer will have three years from the date of revival to question a policy, failing which it will have to honour the claim. And in case the policy is questioned within three years and claims rejected or policy contract terminated due to suppression of material fact not amounting to fraud, the insurer will have to refund the premium. Insurers will have to exercise due diligence not only at the time of underwriting fresh policies but also at the time of reviving lapsed policies. Irdai has clarified that if insurers don’t obtain a declaration of good health, then a claim arising even within three years can’t be repudiated. “Since the policy is revived without taking any document or statement from the policyholder, there is no scope for repudiation within three years of such revival,” said the circular. This is good news for policyholders as Irdai has provided a window of only three years for the insurers to inspect insurance policies. After this, all claims must be paid. In other words, customers don’t have to worry about their claims getting rejected. This will also force insurers to exercise due diligence and strengthen the underwriting processes. “There are pockets where insurance policies are taken in the name of deceased persons and a claim is made. In such cases of fraud, insurers should ideally be able to reject a claim even after three years because the subject matter of insurance didn’t exist. A clarification on this would be helpful,” said Baradhwaj. “Also, ambiguity still persists on the applicability of the revised section 45 of the Insurance Act to the policies issued before the passage of the Act,” he added. Rules might have tilted in consumers’ favour, but that doesn’t mean they can be careless. They must provide correct information in proposal forms. Insurance is a contract of good faith, so consumers need to keep their end of the bargain.